An ultrasound, also called a sonography, is a medical exam that uses high-frequency sound waves. Certain parts of the body are exposed to these waves in order to capture live images from inside the body. Ultrasounds allow your doctor to see problems with certain organs, vessels, and tissues non-invasively. 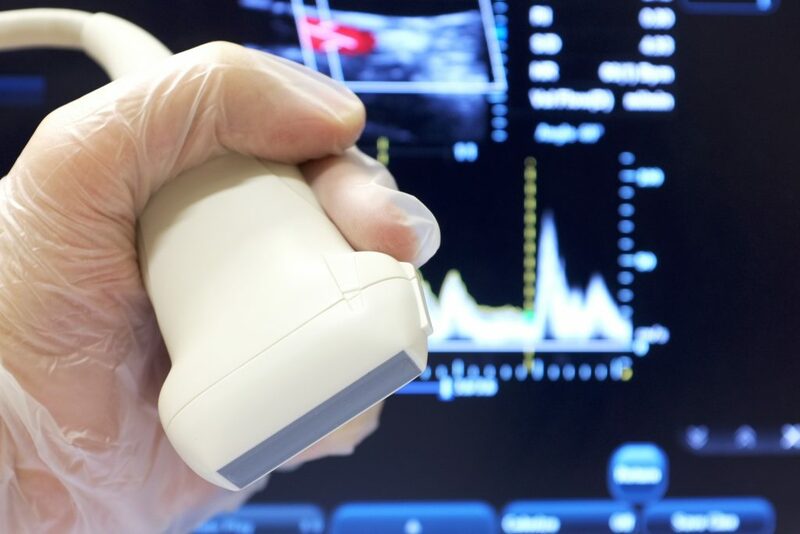 With an ultrasound, the sound waves can travel through soft tissue and fluid. When they hit denser surfaces, the sound waves will bounce back. The denser the object, the more of the ultrasound bounces back. The bouncing back is what creates the image with varying shades of grey to reflect different densities. Also, because sound waves are used instead of radiation, ultrasounds are completely safe, making it the preferred method for viewing a developing fetus during pregnancy. Ultrasounds are commonly performed for pregnancies, but they have many other uses. Ultrasounds can be used for either diagnosis or treatment, as well as for guidance for procedures that require intervention, such as biopsies. They can be used if you have pain, swelling or other symptoms that require an internal view of your organs. Ultrasounds can view the bladder, brain (in infants), eyes, gallbladder, kidneys, liver, ovaries, pancreas, spleen, thyroid, testicles, uterus, blood vessels, etc. In most cases, no special preparation is needed prior to an ultrasound. Patients should wear comfortable, loose-fitting clothing to the exam. Any clothing or jewelry in the area being examined will need to be removed. If necessary, you may be asked to wear a gown during the procedure. Additional preparation depends on the type of examination you will have. For abdominal ultrasounds, do not eat or drink anything for 6-8 hours prior to your exam. For pelvic/transvaginal ultrasounds, drink (4) 8 oz. glasses of water 1 hour prior to your exam. Do not empty your bladder. When the bladder is full, the nearby loops of the intestine are displaced, producing a better image of the uterus. For any scan, be sure to tell your doctor about any prescription drugs, over-the-counter medications, or herbal supplements that you take before the exam. It’s important to follow your doctor’s instructions and ask any questions you may have before the procedure. Most scans are painless, fast and easy. They generally take about 45 minutes to complete and will be performed by a sonographer. The patient will lie on the table, in most cases face up, and the sonographer will apply clear gel onto the area being examined. The gel is used to help the transducer make full contact with the body by preventing friction.The transducer is placed firmly over the area and is moved of the the part of the body being examined. Depending on the area being examined, the patient may need to change positions so the technologist can have better access. After the procedure, the gel will be cleaned off the skin and the patient will be free to go about normal activities. The Radiologists at Seton Imaging have been serving the Western New York community since 1984 as one of the areas longest established Radiology practices. Our three convenient locations offer the latest in imaging technology and equipment as well as same-day, evening and even weekend services. Our goal is to make your ultrasound experience as pleasant and comfortable as possible. If you have any questions, you can always feel free to give us a call at (716) 633-8675 or fill out this form.